Derek Sellman joined the Faculty of Nursing at the University of Alberta in 2011, after more than 20 years of teaching in the UK. He completed a Masters in Teaching Health Care Ethics and a PhD (Philosophy of Education) at the Institute of Education, University of London. Dr. Sellman is director of the unit for Philosophical Nursing Research. 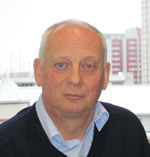 He is the editor of the Wiley-Blackwell journal Nursing Philosophy and is a former Secretary of the International Philosophy of Nursing Society. He has a research interest in virtue ethics as a base for ethical nursing practice in general and in relation to the moral education of nurses in particular. He also has an interest in philosophical and ethical issues as they relate to the care of older people and as they relate to interprofessional working in health care.